Join us in La Conner, among the daffodil fields of Skagit Valley, for a dashing bicycle ride with a bit of style - the 5th Annual Dandy Daffodil Tweed Ride! It's a perfect place to be planted and a beautiful place to bloom. Tally-ho! https://lovelaconner.com/wp-content/uploads/La-Conner-Daffodil-Festival-2019.png 700 915 Love La Conner https://lovelaconner.com/wp-content/uploads/La-Conner-Washington-Logo-800x135.png Love La Conner2019-01-30 12:15:172019-04-12 17:46:32La Conner Daffodil Festival March 2019 - 5th Annual! 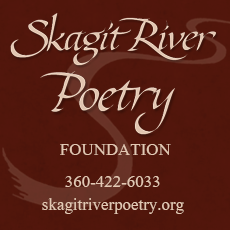 Welcome to the 10th Biennial Skagit River Poetry Festival! Come to La Conner for the La Conner Guitar Festival May 11th - 13th. It’s your opportunity to find the instrument of your dreams! With dark, cozy winters behind us comes the promise of spring and cheerful backdrops in La Conner and the Skagit Valley. Here in this beautiful area, you'll find fields of gold and rainbows of color. If you come for the tulips in April, don't miss the Tulip Festival parade. The parade is a celebration for all ages, bringing together people from all over to watch and experience this truly unique, wacky parade! This March is a great opportunity to snap some amazing images of incredibly beautiful daffodil fields with sunsets, sunrises, winter birds, and people enjoying the view. Fishing, running, pancakes and fish painting will all be part of the fun, with something for everyone at the 53rd Annual Smelt Derby Family Festival and Smelt Run! 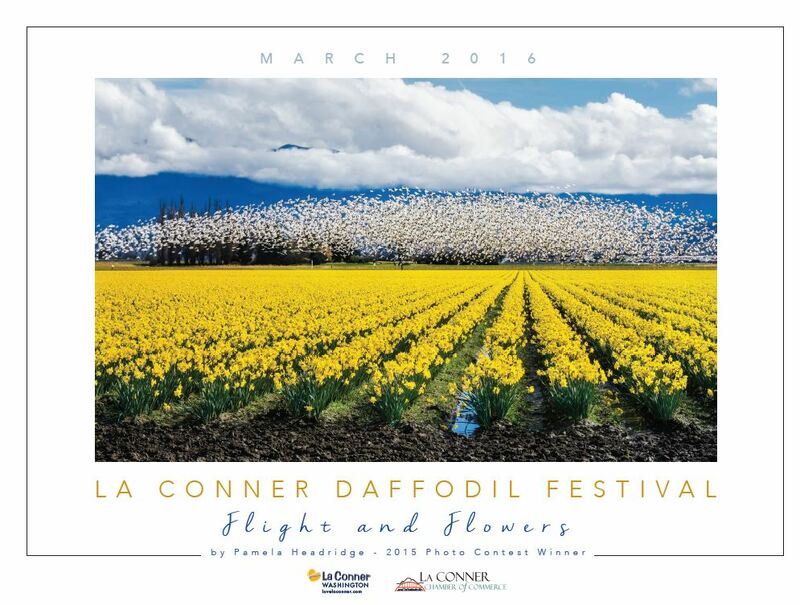 As March approaches, the La Conner Daffodil Festival is an event that should not be missed. Imagine sprawling fields of cheerful and happy daffodils with majestic Mount Baker staged in the background. With so many wonderful products and artwork on hand this is an ideal opportunity to explore some of the most unique fiber, quilt and textile artwork found anywhere today. 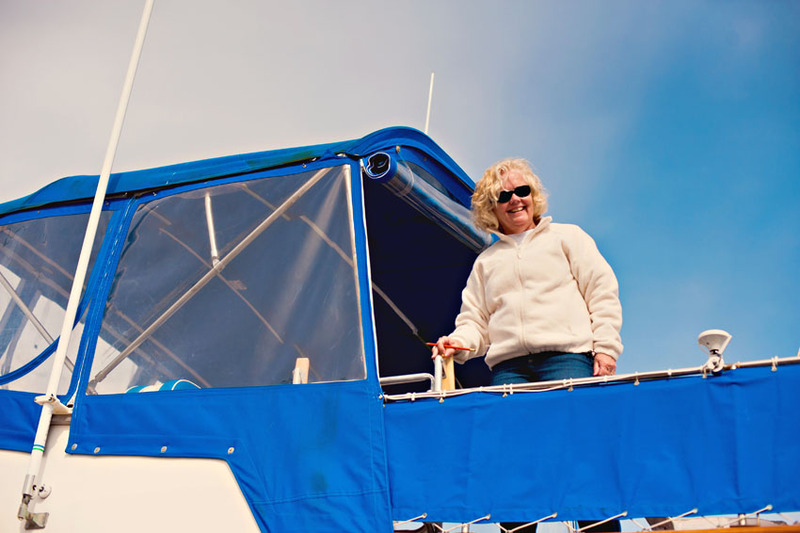 Each year a wonderful nautical holiday event takes place in the friendly and welcoming community of La Conner Washington. This event is known as the Lighted Boat Parade and it happens this year (2017) on December 9th from 6 to 7 PM. Just imagine strolling along the La Conner boardwalk with elegantly illuminated holiday lights twinkling and sparkling in a most nautical atmosphere. 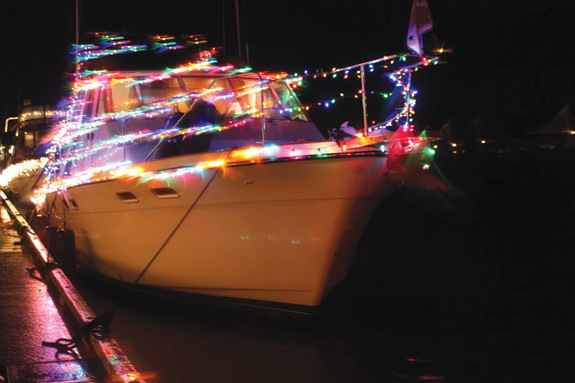 Boats and trees throughout much of La Conner will be brightly lit for the holiday season during this fun shopping adventure. The 11th annual La Conner Turkey Trot is a popular hometown run that will occur on this upcoming 2017 Thanksgiving morning in the remarkably beautiful waterfront town of La Conner. Mark your calendar for Saturday, October 21st because that’s when all the fun begins. The festivities start at 5pm and go until 8pm. Tickets on sale now! The fall season is really a special time of the year in the Pacific Northwest especially with one particularly unique event which highlights the beautiful farmlands surrounding La Conner and all around Skagit County. 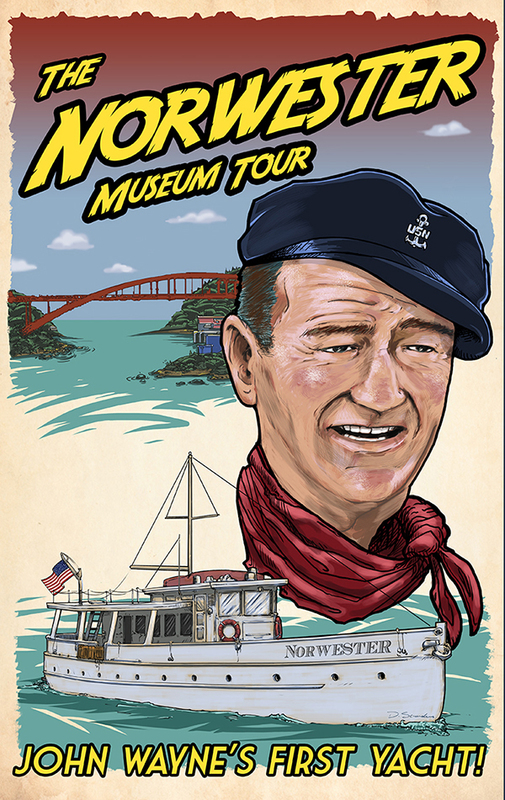 The Pacific Northwest has so much to offer in terms of art and culture. This is especially true when it comes to the PNW Quilt & Fiber Arts Museum in La Conner Washington! 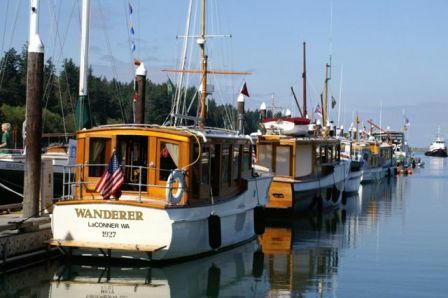 Nestled on the bank of the Swinomish Channel at the edge of the idyllic farm lands of the Skagit Valley in the great state of Washington, the town of La Conner has been host to some of the world's famous artists, poets, and authors. With such a history steeped in the arts, we couldn't think of a better place to showcase the Art of Lutherie with some of the finest luthiers in the world. 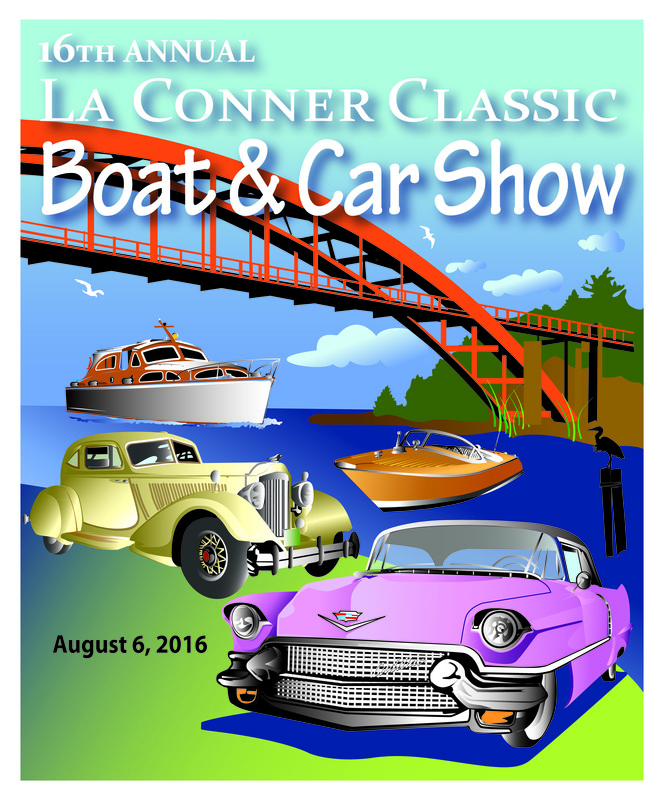 Welcome to the historic waterfront village of La Conner, Washington. We encourage you to see what makes this area unique. 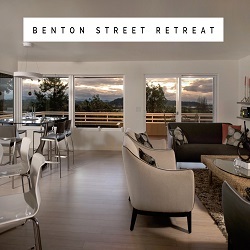 We are known for our friendly people, diverse communities, cultural attractions including three museums & outdoor sculpture exhibits, locally owned boutiques & galleries, and an environment of mountains, farms, rivers, islands and the Salish Sea. Adventures from the relaxing to the exhilarating are yours, all in a setting of stunning natural beauty. Come visit and stroll the village! 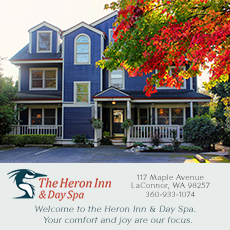 Let us show you why we truly are the heart of the Magic Skagit Valley and the finest waterfront village in Washington State. Run the Race and Stay the Weekend! https://lovelaconner.com/wp-content/uploads/2017-SmeltRunPosterFinal-1.jpg 882 777 Love La Conner https://lovelaconner.com/wp-content/uploads/La-Conner-Washington-Logo-800x135.png Love La Conner2017-01-01 13:11:462017-02-27 11:09:06Smelt Run is Back! 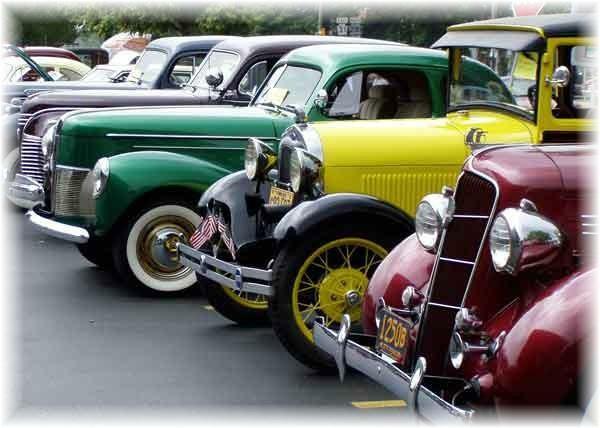 Art's Alive weekend (November 4-6) is the perfect time to getaway to La Conner! Get a jump on your holiday shopping with an original gift of art for your loved ones. 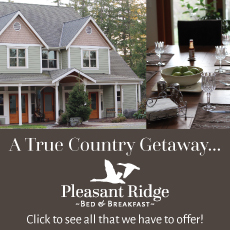 Book a room now, and make it a great weekend filled with art, music and nature! 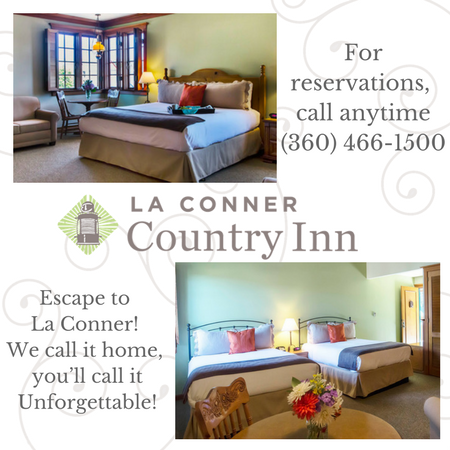 Bring your family to the magic Skagit Valley and spend the weekend in historic La Conner enjoying an old fashioned 4th of July. 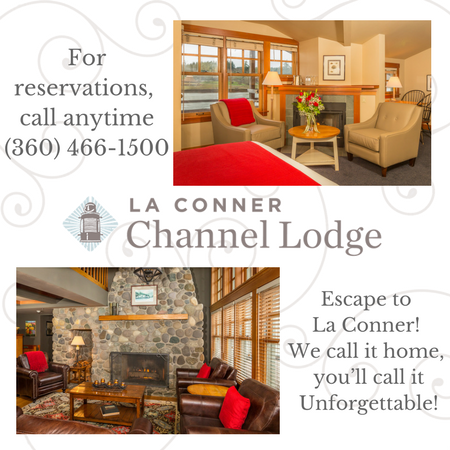 Drive in for the day or stay the weekend at one of La Conner's charming lodging options. 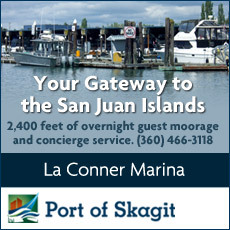 Cruise in with your boat and moor at the Port of Skagit premiere destination marina. Parade, Fireworks, Beer Garden and FREE outdoor concert with nationally renowned electric 6 string violinist Geoffrey Castle, his all-star band, and opening the show La Conner’s own Terry Nelson and Friends! Art's Alive! 2015 - 31st Annual Art Festival! https://lovelaconner.com/wp-content/uploads/arts_alive_2015_la_conner.jpg 340 340 Love La Conner https://lovelaconner.com/wp-content/uploads/La-Conner-Washington-Logo-800x135.png Love La Conner2015-10-20 08:18:512015-11-10 11:52:38Art's Alive! 2015 - 31st Annual Art Festival! La Conner is the kind of town where you can walk from the old-time tavern to the cool restaurant featuring live music to top reviewed foodie spots and then to our very own brewery all in two blocks. You can choose to walk the sidewalk or the boardwalk with Salish Sea waters softly rolling over the shoreline rocks below. What better place for a beer festival! La Conner Beer Festival – Brew on the Slough 2015 is happening on Saturday, October 17th! 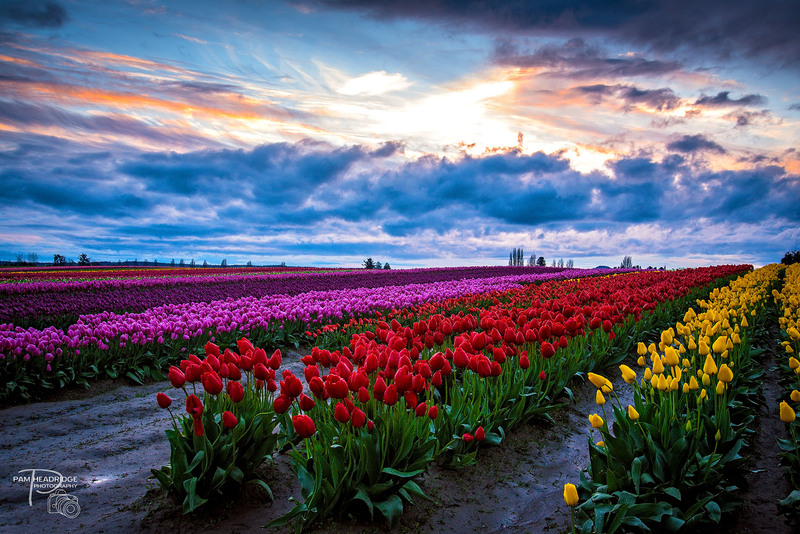 Daffodil Festival 2015 Photo Contest Winners Selected! 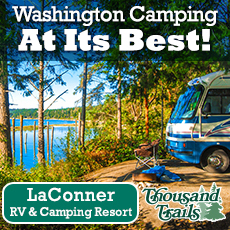 https://lovelaconner.com/wp-content/uploads/daffodil_photo_contest_geese.jpg 638 1024 Love La Conner https://lovelaconner.com/wp-content/uploads/La-Conner-Washington-Logo-800x135.png Love La Conner2015-04-27 13:37:352015-05-28 10:28:34Daffodil Festival 2015 Photo Contest Winners Selected! 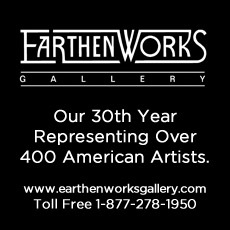 The Gathering is the 16th Annual Celebration of Native American Artist. 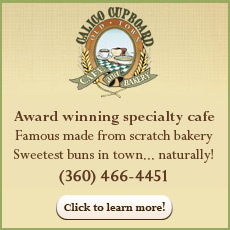 Don't miss The Gathering on January 17th, 11-8pm at the Skagit County Historical Museum. Don’t miss the special evening reception which will be held from 5:30pm-8pm celebrating the book “Indians of Skagit County” originally published in 1972, this book was written by Chief Martin Samson. 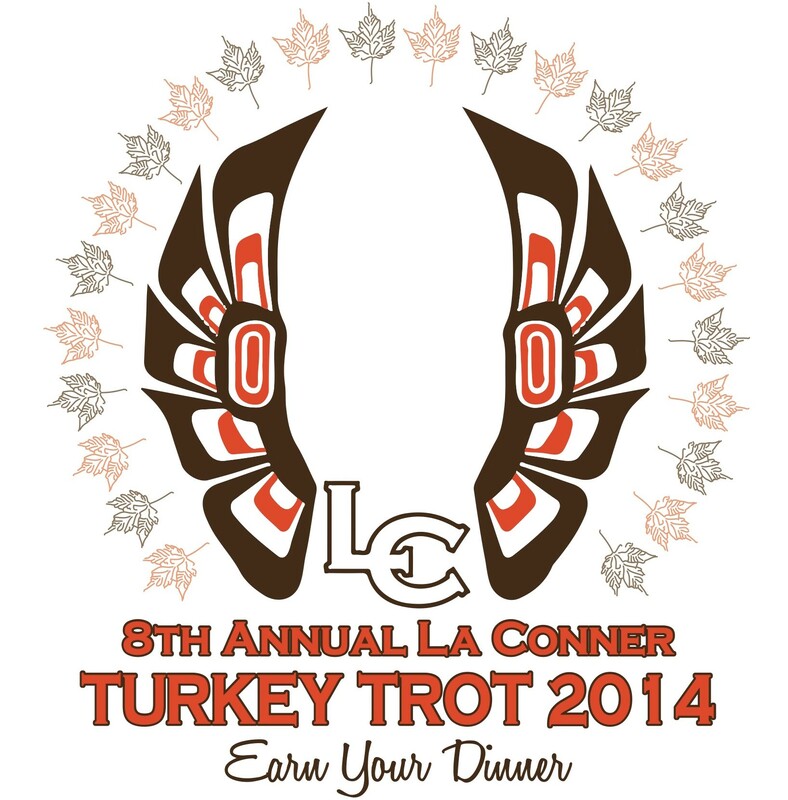 La Conner Turkey Trot 2014 - Come Earn Your Dinner! A favorite event among locals – and Thanksgiving holiday visitors alike – is our annual La Conner Turkey Trot. What could be better than going for a run and/or walk first thing on Thanksgiving morning … so that you can justify indulging a little bit more over all the wonderful foods served for Thanksgiving dinner. We think this event is a brilliant idea – and so do our racers! https://lovelaconner.com/wp-content/uploads/la_conner_turkey_trot_2014_tshirt.jpg 1659 1635 Love La Conner https://lovelaconner.com/wp-content/uploads/La-Conner-Washington-Logo-800x135.png Love La Conner2014-11-12 12:00:302014-11-28 22:51:19La Conner Turkey Trot 2014 - Come Earn Your Dinner! Louisa & Conner's Holiday Passport Contest 2014! Louisa and Conner are La Conner's Holiday helpers! These two love to play hide and seek, and La Conner is their playground. Help me find them and you could win! The Holiday Passport Contest 2014 begins on November 25th and runs for 4 weeks. Celebrate the Holidays in La Conner! 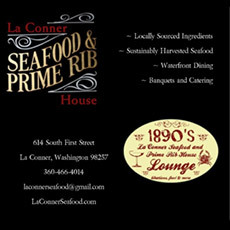 https://lovelaconner.com/wp-content/uploads/2014NovDecEvents-Web-Ap.jpg 413 539 Love La Conner https://lovelaconner.com/wp-content/uploads/La-Conner-Washington-Logo-800x135.png Love La Conner2014-11-04 14:27:182014-12-29 15:38:35Louisa & Conner's Holiday Passport Contest 2014! 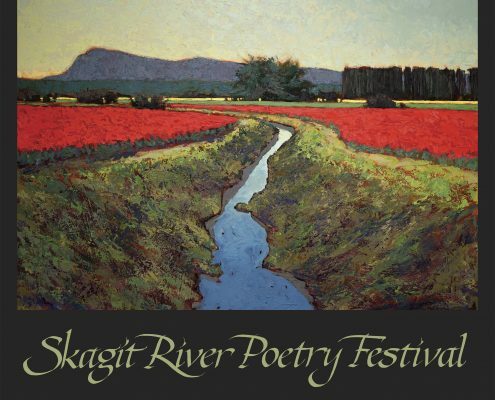 Every year, La Conner is host to one of the Northwest’s premier arts events – Art's Alive 2014; a show of works by truly talented artists from around the Skagit Valley, and a weekend-long exhibition event for art lovers and collectors happening October 31, November 1 and 2. Get Into the Halloween "Spirit" in La Conner! https://lovelaconner.com/wp-content/uploads/Jack.png 173 197 Love La Conner https://lovelaconner.com/wp-content/uploads/La-Conner-Washington-Logo-800x135.png Love La Conner2014-09-16 10:42:542014-11-03 09:31:47Get Into the Halloween "Spirit" in La Conner! La Conner Wine & Art Walk - This Saturday Sept. 6th! https://lovelaconner.com/wp-content/uploads/wine_walk_september_2014.jpg 164 300 Love La Conner https://lovelaconner.com/wp-content/uploads/La-Conner-Washington-Logo-800x135.png Love La Conner2014-07-10 10:51:012014-09-09 16:06:12La Conner Wine & Art Walk - This Saturday Sept. 6th!